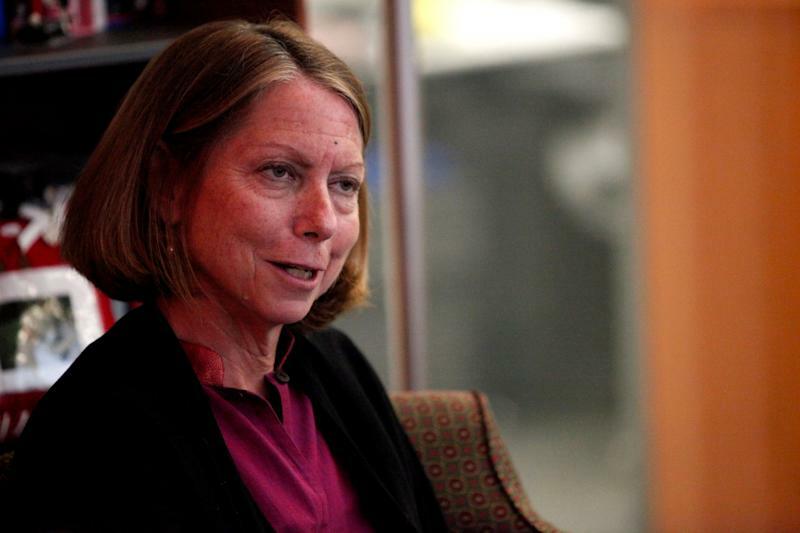 Jill Abramson’s new book, “Merchants of Truth: Inside the News Revolution,” dives into how the journalism industry has evolved over the last decade. The premise is compelling and timely, especially given the volatile landscape that is digital media, with layoffs and reorganizations sweeping the likes of Mic, Buzzfeed, HuffPost, and Vice. But whatever astute insights about the industry she may have included in that book have been overshadowed by plagiarism accusations. The former New York Times executive editor is facing claims of inaccuracies and outright plagiarism from a Vice correspondent and a freelance journalist. On Thursday evening, before she released a lengthy response to allegations, Abramson spoke with “Chasing Hillary” author and New York Times writer-at-large Amy Chozick at The Wing, a women-focused work and community space in SoHo, New York City. The event was scheduled in advance of the plagiarism allegations. At the event, Yahoo Finance asked her how she would be able to win over the trust of viewers and readers who may already be skeptical of news organizations. “Other than correcting things that need to be corrected, I don’t know exactly how...I have to work to win back some trust and your trust and I’ll work really hard to do that, both in promoting the book, which I really think it’s a great book and I want people to read and in other work I do,” she said. Abramson said that she has started making corrections to the e-book version. The 544-page book, with 70 pages of footnotes, was released on Tuesday. And after the accusations were brought to light, Abramson sent out a series of tweets. Initially, Abramson said the “attacks” on her book reflected “unhappiness” about a “balanced portrayal.” Then she tweeted that she tried to give proper attribution before tweeting a third time that she would review the passages in question. She finally released a statement at 10:21 pm ET on Thursday evening saying, in part, “The notes don’t match up with the right pages in a few cases and this was unintentional and will be promptly corrected. The language is too close in some cases and should have been cited as quotations in the text. This, too, will be fixed.” She does not apologize to Moynihan or Lehrer. Abramson’s errors fuel the distrust of the mainstream media that Trump loves to attack. According to an October 2018 Gallup Poll, media is slowly but surely regaining trust from Americans after hitting a low in 2016. Forty-five percent trust the mass media compared to a staggering 32% in 2016.